A former Republican White House lawyer and prominent critic of President Donald Trump is running for former Sen. Al Franken's seat. And he's running as a Democrat. 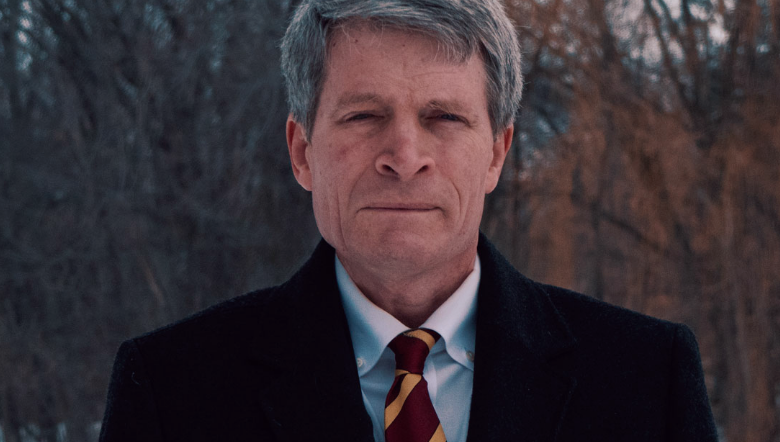 Richard Painter filed paperwork with the Federal Election Commission late last week to run for the seat after exploring a bid for more than a month. While formally announcing his run, Painter said he was running for senate because the Republican party has "departed" from its former values. He called Mr. Trump's rhetoric on the campaign trail a "threat to our constitution" slamming his attacks on freedom of the press as well as immigrants. "We need to stand firm against what Trump is threatening to do to our country," urged Painter. He added, "We need to do what is right to save our democracy from Donald Trump and collaborators inside the U.S. and abroad including every single member of congress who refuses to investigate this administration." Painter, 56, served as chief White House ethics lawyer to President George W. Bush. He's emerged as a top Republican critic of Mr. Trump and is a frequent guest on MSNBC and CNN and is currently a professor of corporate law at the University of Minnesota, Twin Cities. A site for "Painter for U.S. Senate" launched over the weekend, saying that Painter will bring "authentic, ethical leadership back to Washington." A twitter account for Painter's bid tweeted on Sunday, "Make no mistake, America. We are in the fight of our lives. Our democracy and our institutions are under assault. Alternative facts are being normalized. And it has to end. JOIN US and CONTRIBUTE today!" Make no mistake, America. We are in the fight of our lives. Our democracy and our institutions are under assault. Alternative facts are being normalized. And it has to end. JOIN US and CONTRIBUTE today! "No Super PACs. No Dark Money. No Russian Agents," the tweet added in a possible jab at Russian meddling investigations currently embroiling the Trump White House. His entry as a Democrat triggers an endorsement fight and potentially a primary for Democratic Sen. Tina Smith, who was appointed to take Franken's seat after he resigned. The former Minnesota lieutenant governor has said she will also run in the November 2018 special election to finish Franken's term, which was due to expire in 2020.